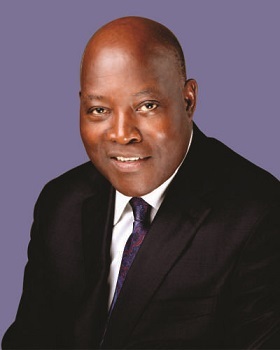 Alfred I. Okoigun is the Founder/Group Managing Director of ARCO Group Plc. He attended Holy Trinity Catholic School, Ewu and Government College, Ughelli. Thereafter, Alfred read Mechanical Engineering at the Petroleum Training Institute, Effurun as well as Senior Management Programme (SMP) at the International Institute for Management Development (IMD), Lausanne, Switzerland amongst several other courses and programs. After a one-year industrial training with Snap Progetti of ENI in Italy in 1978, Mr. Okoigun joined the NNPC as a Material Management Officer in the Warri Refinery and Petrochemical Company (WRPC); he served in that capacity from 1978 to 1980. A visionary entrepreneur, Mr. Okoigun resigned his appointment in 1980 and established ARCO Petrochemical Engineering Company Limited, to provide maintenance engineering and consultancy services to the Nigerian Oil and Gas industry. He was granted agency representation by Nuovo Pignone – a 100% owned subsidiary of the ENI Group (now owned by General Electric) when he was only 25. Mr. Okoigun is a strong believer in the development of engineering services in Nigeria. Through ARCO, he has sponsored over 40 engineers, technocrats and energy correspondents for training programs and facility visits to Oil and Gas equipment manufacturing firms and to exhibitions and seminars on energy matters in Italy, Switzerland, USA, Brazil and Argentina. In recognition of his contributions to the Nigerian Oil & Gas sector, Alfred has been honoured by his professional colleagues and his alma mater; among these awards are the conferment of a Fellowship on him by the Petroleum Training Institute, Effurun at the age of 43, designation as a role model by the Engineering Society, University of Lagos and the conferment of Fellowship on him by the Nigerian Society of Chemical Engineers. Under his able leadership, ARCO Petrochemical Engineering Company Plc. has made way for a new company, ARCO Group Plc. The old company is now known as ARCO Maintenance and Engineering Ltd, AMEL which is one of the three thriving subsidiaries of ARCO Group Plc. Mr. Okoigun is the Group Managing Director of ARCO Group Plc. and he propagates the vision that he wants the company to outlive its founder and take its place among successful corporations in the world. He is a philanthropist of the rare type who continues to invest in human capital development, endowments and community related projects and notably, in Government College Ughelli’s rehabilitation and renovation projects being sponsored by the Old Boys Association of the College.